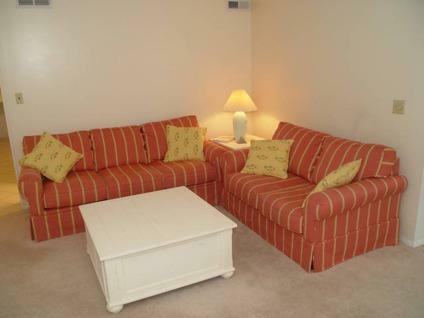 Close-to-boardwalk waterfront 2 BR/2Bath top floor end condo on canal with deeded boatslip. Beautifully tiled remodeled kitchen. Private deck with sstorage overlooks canal. Front and back entrance right down to you boat. Building has new roof, railings, facia, siding in the last few years. Peek at the bay from MB. Seller to repair Central air and remove the wood fireplace before settlement.